Warning to addicts it is a spoof! But a good one. any examples so far ? what are the components they give ? "Once we’ve received your photo, our advanced SalivAnalysis™ technology extracts your body’s unique salivary signature, allowing us to map your genetic code"
"Your information is submitted to the FBI Laboratory’s serial killer database, entered into the Blazin' 95.5 Summer Brews Cruise Giveaway, used to apply for a Chase Sapphire credit card, and auctioned off to the highest bidder"
"Your completed DNA sequence is injected into a host embryo, which is then transferred to a DNA Friend cold storage facility"
is that a joke site or something ? Last edited by Magnetic; 04-14-2019 at 10:21 AM. I couldn't get the camera inside my mouth to photograph my saliva . Yes it is a joke! I really wanted to say it didn't make me even smile, because it's really sophomore & asinine and still getting spread around like an STD, and every place people ask "Is this real?". 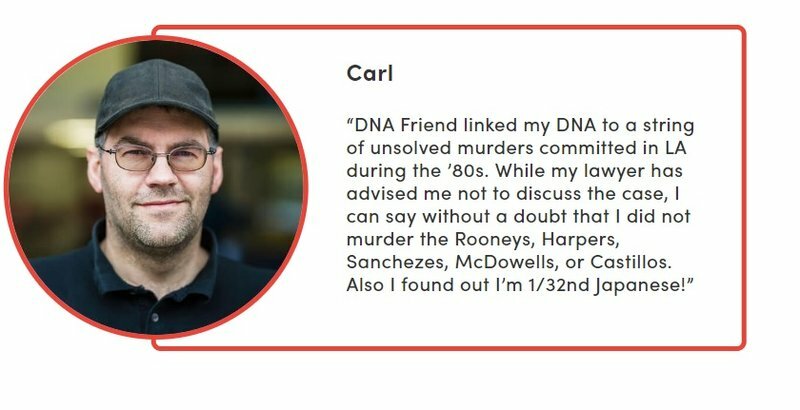 That's not to say that DNA testing is beyond criticism and reproach, but this site just preys on standard prejudices and misconceptions you can find on any discussion forum. You can't have a rational discussion about real concerns when people are more worried about having their anonymised & de-identified "golden DNA" sold to China to grow unauthorized clones (while *simultaneously* insisting it's all a scam and no genetics involved) than credit card fraud, plain identity theft, or just using freaking FaceBook.